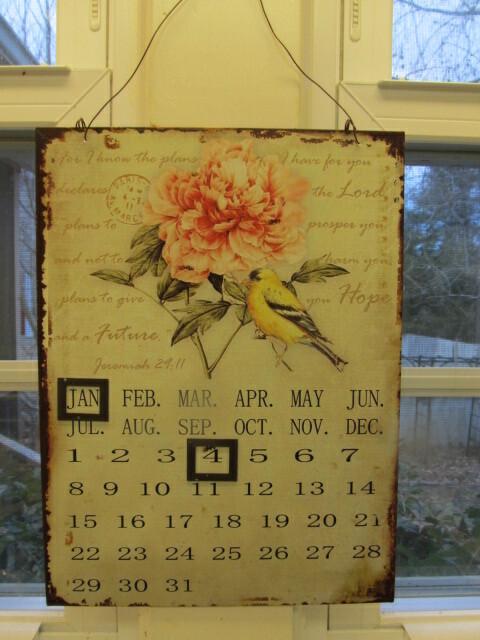 January 4, 2014 Already? ; Say What? The calendar is already mocking me. The calendar mocks me already. How is it the 4th of January? At this rate, I’ll be doing my Christmas blog for 2014 before I can say jackrabbit. Not that I would ever say jackrabbit, because why on earth would I? I mean, I think I’ve said jackrabbit like, never. My job is feast or famine. I am either working 24/7 till I drop, or I’m not working at all. And, when I’m not working, there is so much to catch up on. Sleep, for one. Bills (but I’m not working, so go figure). Doctor appointments. Car servicing. Sleep. Long walks. Organizing everything before spring when I’ll be working 24/7, again. Sleep. Today, I had designated to update my resume, wanting it done before I leave for a ten day vacation. But, typical me, I got distracted. Look! Something shiny! 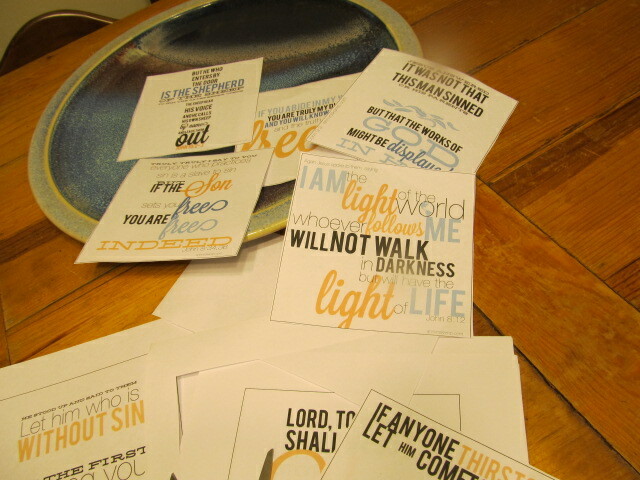 In case you’re thinking I am oh-so-creative, I downloaded the pages from The Holy Experience blog. While pilfering the web, while sitting by the fire, while fiddling with my camera, while deciding if I need/want a new computer, while staring out the window, while flipping through seed catalogues (yep, that time already—so psyched). While doing anything but updating the resume, which I have now decided should be turned over to the hands of a professional. If I pay someone, it might actually get done. 2. Drop the victim mentality and live fully, presently. I am doing pretty good, so far. I told the 19-year-old I liked his hair, which might qualify as a lie instead of encouragement, but hey he was happy. And, a 19-year-old happy is the same as a two-year-old happy. I’ll do dang near anything for that. Number 2 is getting easier, a life long journey to realize it really isn’t all about me. Number 3 will be a piece of cake, number 4 not as easy, though I long for it to be. I’ll pray for it to be. I’m good at mercy…..when it comes to me. So, 5 should prove challenging. However, 6 will help with all of them. In fact, without 6, 1-5 wouldn’t happen. So perhaps, it should be number 1. 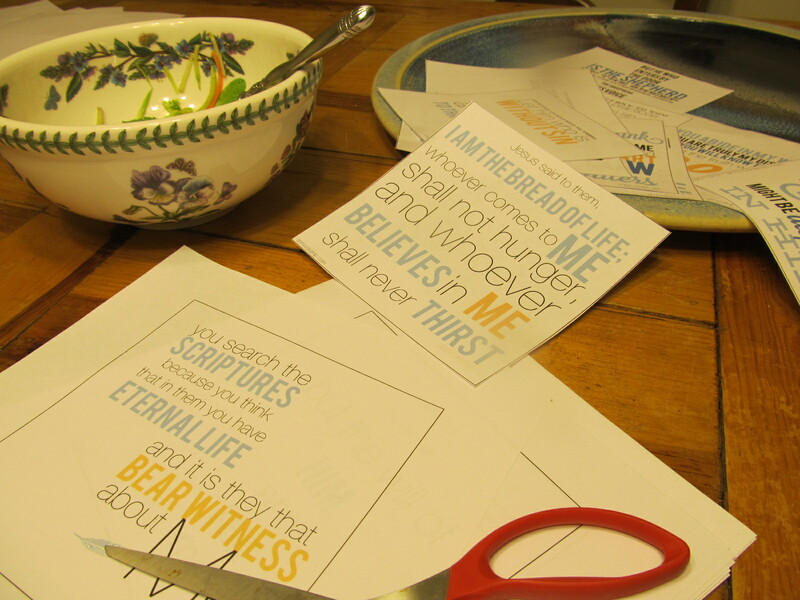 And perhaps, not working on my resume but cutting out Scripture verses wasn’t a waste of time. Maybe it will prove to be the most productive thing I do this year. And maybe, it will slow time down. Because stepping into the presence of God, through the communion of his word, is stepping into eternity, where there’s literally all the time in the world. Spare the Rod Grandma, Spare the Rod!! So, we’re in church on Christmas Day, and what to my wandering eye did appear–well, not Santa’s reindeer. No, I was treated to domestic violence. I exaggerate. Somewhat. But, because I found it to be the most effective means of discipline for the BIG STUFF. I know, not everyone agrees with spanking. These days, you’d be hard pressed to speak out on the issue if you do use that form of discipline for fear of someone calling DSS, but what I witnessed in church Christmas morning was not a spanking. In fact, it was not discipline at all. Picture this: 10 a.m. Christmas morning, the church bells have rung, the pews are filled, hymns announcing the Christ child’s birth are joyfully being sung, when whack!, a GRANDMOTHER, not the mother, backhands a 3-4 year old boy for making typical toddler noise. It startled my sons and I, sitting two pews back from her with the in-between pew empty, so much so, that my youngest son instinctively put his arm around me, as if to protect me. What transpired after that is actually difficult to write, so I won’t elaborate, but I actually wondered if we were secretly on that show, What Would You Do? And, as much as you might want to do something, it isn’t always in the best interest of the child for you to do so. Its possible the parent, or grandparent, will take their embarrassment out on the child later at home. But really, HOW DARE SHE? I thought of my own toddler munchkin, who’d stayed at home with mom. What if someone dared backhand my two-year-old granddaughter for making normal two-year-old noise? My heart breaks. But really, what was killing me too, was the fact that this child stands a huge chance of growing up to hate Jesus, hate church, hate her. There’s the sadness. That he won’t remember singing, “Jesus loves me this I know, for the Bible tells me so…” he’ll remember dreading the whole church ordeal for fear of repercussions from Grandma–what big teeth she has!! That’s what made me want to scream at her. But, I prayed instead, and not because I’m all spiritual, but because when I feel helpless, that’s where I head–to God. He knows what is needed far more than I do–for that sweet, little boy, for the daughter, who could not stand up to her mother, and yes, for the grandmother, who needed his grace all the more. I could only wonder, who had backhanded her? Who did not spare the rod on her? Grace, grace, grace. When my children were little, I would pray before disciplining them. Lord, I would ask, what do they need? Grace or law? I couldn’t see into their little boy hearts, so I asked my heavenly Father, who loved them even more than I, the rod or the cross? Rarely, rarely was it ever the rod. The Cross, Cinthia. Show them the cross.